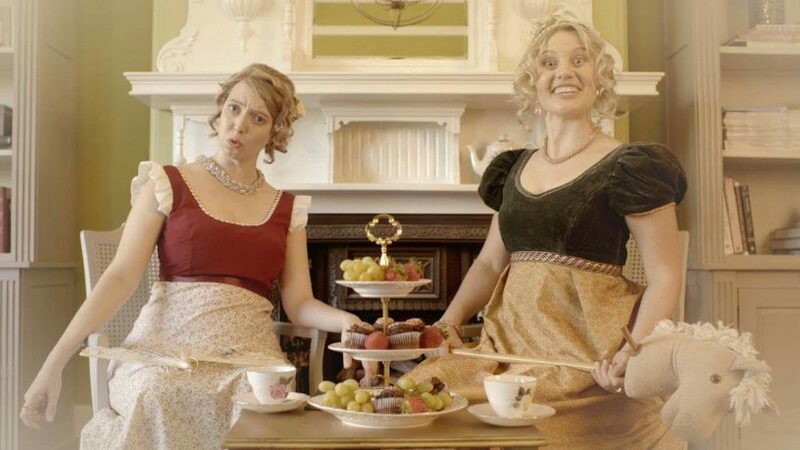 Comedians Esther Longhurst and Jess Mess from Sense & Spontaneity LOVE Jane Austen. Their improv shows take 21st century tinder hook-ups and awkward first dates and give them the 'Austen treatment' all with the airs and graces of the 18th Century. They've become a bit of an online sensation this week with a hip-hop ode to wet white shirts called Dear Mr. Darcy and they joined Caitlin on Breakfast.